system of psychological and physical wellbeing is coupled with my belief that the science of Yoga can improve the understanding of our individual natures. I’ve completed additional yoga studies in the tradition of Krishnamacharya’s Viniyoga, and now work and study in that tradition. This can then enable us to direct our attention to where it is required and improve our individual effectiveness in whatever we choose to do. This now allows me to teach this valuable practice to students individually or in groups but always with respect to what the individual needs. As part of my efforts to deepen the knowledge of Yoga, I’ve also completed additional, studies in Ayurveda, and Pilates. I’ve also been a practicing Acupuncturist since 1989, completing post graduate advance studies in Chinese medicine in Nanning, China, and attaining a Bachelor of Health Science in Acupuncture from Victoria University in 2003. During this time, I also completed several studies in Herbal Medicine. the disturbances of the mind. By stimulating specific points along the body’s energy ‘meridians’, obstructions can be removed to the body’s natural energy or ‘qi’ (pronounced ‘chi’), and health restored. Proven effective over several thousand years, modern medical research has now shown Acupuncture to be an successful treatment for a range of health conditions, including the reduction of pain and stress. The use of Chinese herbs works on the same principle as Acupuncture, using the energetic properties of traditional herbal formulas to rebalance the body’s energy. Herbal medicine can help patients participate in their own treatment as part of their lifestyle choices and health regime, and can be used along with nutritional supplements. Regular massage can help to maintain the body’s energy, relaxing the nervous system and reducing physical tension. Massage can also treat particular injuries by increasing circulation and promoting the body’s own natural healing power. Maximum 10 people in each class. Meets to discuss Patanjalis Yoga Sutras. If you would like deepen your understanding of Yoga, you will want to explore this most authoritative yoga text. Special consultations and courses for workplace Yoga and meditation are also available. A one year Yoga teacher training course (350hrs) in the tradition of Krishnamacharya is available. Also available Meditation courses, private yoga tuition and acupuncture consultation, Yoga Teacher Training, Yoga Retreats, Yoga Therapy consultations. 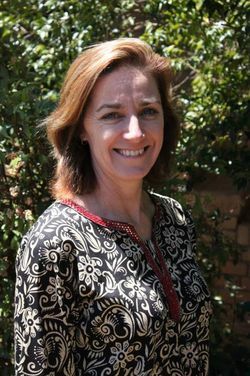 Leanne Davis has a Bachelor of Health Science in Acupuncture and 30 years yoga teaching experience and is a Certified Yoga Therapist with International Association of Yoga Therapists and a Registered Senior yoga teacher and Yoga therapist with Yoga Australia. Maximum 10 people in each class. Booking essential. Kellogg, Brown and Root Pty. Ltd.